If you are interested the debates about Medicare and public health, you might want to bone up on what public health means, including the history of Medicare. Medicare celebrated its 45th birthday in 2010, and America is looking at this institution as a model and a history lesson in reforming health care. What follows are links to articles, timelines, blog posts, and a few videos about the history of Medicare. A Brief History of Medicare in America: Medicare Health Insurance gives a history beginning in 1912, when government health care was part of Teddy Roosevelt’s platform. Brief History of Medicare: A brief history of Medicare beginning in 1945 from Baby Boomer Care. Includes links to several other Medicare topics. CMS Centers for Medicare and Medicaid Services: An overview of the history of Medicare and Medicaid from the agencies themselves. Medicare — A Brief History And Overview: This is a brief overview of the history of Medicare from the Medicine Encyclopedia. Medicare and Medicaid: A brief overview of the history of both institutions, with links for further reading from Encyclopedia.com. Medicare History: This information is from the National Bipartisan Commission on the Future of Medicare. Medicare History 101: Medicare coverage was originally offered to Social Security beneficiaries, and almost 19 million people signed up during the first year. Read more at My Medicare. The History of Medicare: A 1969 article with several chapters by Peter Corning, now the director of the ISCS (Institute for the Study of Complex Systems). 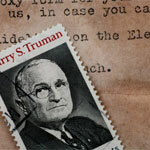 The History of Medicare: Emax Health offers a history of Medicare, its politics and includes a short timeline. The History of Medicare — A Quick Look at How it Got Started: Article that provides a brief history of Medicare, beginning in 1965. What is the History of Medicare? The National Academy of Social Insurance provides a brief overview that begins in 1965. Brief History of the Medicare Program: A timeline beginning in 1945, when Truman calls for a national health care program, a call which is met by cries of “socialized medicine,” and the beginning of two decades of debate. Timeline only goes through the year 2000. History of Medicare Advantage: The Coalition for Medicare Choices offers this timeline of Medicare key legislation and reform. History of the Medicare Economic Index (MEI): The Medicare Economic Index (MEI) is a measure of practice cost inflation that was developed in 1975 as a way to estimate annual changes in physicians’ operating costs and earnings levels. Key milestones in Medicare and Medicaid history, selected years: 1965-2003: A detailed timeline which begins with 1965, when Medicare and Medicaid were enacted as Title XVIII and Title XIX of the Social Security Act. Prior to 1965, only about half of seniors had health insurance coverage. Looking back at the Medicare program: Humana offers a timeline that begins in 1902, when the first workman’s compensation law was enacted (later declared unconstitutional). The timeline stretches to 2006 when Prescription Drug coverage was added. Medicare: A Timeline of Key Developments: The Kaiser Family Foundation offers an interactive timeline providing information about policy developments over the past 40 years. 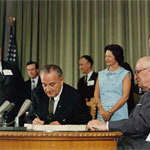 President Lyndon B. Johnson Signs The Social Security Act of 1965 into Law, Creating Medicare: Timeline with video of Lyndon Johnson signing Medicare into law. The Medicare System: A Look at the Structure and Financing of one of the U.S. Government’s Largest Programs: PBS provides an interactive timeline of Medicare history, beginning in 1934. HCR History, Chapter 4: Medicare’s message for today: This is is a blog post about the history of Medicare, and the lessons it has for those trying to pass health care reform today. Health Reform through History: Part III: Medicare and Medicaid: New America Foundation provides an article that spans the history of the health plans from the 1940’s through the present. Medicare Fraud: Reason Magazine offers an article about how congress has underestimated the cost of Medicare from the beginning. It points out that the cost of the Medicare prescription drug plan is 400 billion over 10 years. The history of Medicare and its influence on American health care: Emily P. Walker, MedPage Today Washington Correspondent, offers an overview on how Medicare history has influenced today’s decisions about health care reform. The History Of Medicare, United States Healthcare Scheme, From Hope To Financial Crisis: This entry on a blog about aging discusses developments leading up to the insolvency of Medicare. The Lessons of Success — Revisiting the Medicare Story: The New England Journal of Medicine provides article written at the time Obama had been elected but had not yet taken the oath of office. The authors speculate about whether Obama would be the president who could fix the health care system, using Medicare as a model. The Secret History of Medicare: The author of this article points out that Medicare is not an idea that was abandoned when it was not immediately successful, and likewise health care reform should not be abandoned for twenty years if it is not enacted now (2009). A History of Medicare and Social Security Tax Increases: The Raging Capitalist offers a 2010 blog post that traces the increases in the payroll tax from when it was first instituted in 1966 to cover the cost of the programs. A Political History of Medicare and Prescription Drug Coverage: Missed Opportunities and Muddled Outcomes: Download the full document to trace the history of the effort to include prescription drug coverage with Medicare. History of Medicare Part D: This is a history of the prescription drug coverage that was enacted in 2003, becoming effective as part of Medicare in 2006. 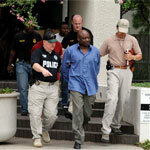 Largest Alleged Medicare Fraud Scheme in DOJ History: This is an article about more than 50 individuals who were arrested in 2010 by FBI agents in the largest alleged Medicare fraud scheme ever perpetrated by a single criminal enterprise and charged by the Department of Justice (See also Los Angeles Criminal Defense Attorney Blog for many more Medicare Fraud stories). Long History of Missed Opportunities Plague Medicare Prescription Drug Benefit: Johns Hopkins Bloomberg School of Public Health published a historical analysis in 2004 about the 38-year struggle to establish a Medicare prescription drug benefit. 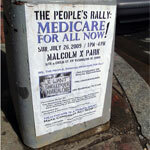 Medicare history lessons: This is a blog post about the history of Medicare payment policies. Medicare: History of Part A Trust Fund Insolvency Projections [PDF]: A paper offered by Patricia A. Davis, specialist in health care financing for Congressional Research Service, 2009. Republicans and Medicare: A History: This is a 2010 New York Times article about the opposition to what at first seemed like a communist or socialist idea. The Medicare Program as a Capstone to the Great Society-Recent Revelations in the LBJ White House Tapes: Larry DeWitt, historian and public policy scholar, wrote this cited article in 2003. This entry was posted in Education and tagged health care reform, Medicare debate, Medicare Fraud, Medicare history, Medicare history lessons, medicare program, medicare timeline. Bookmark the permalink.